My Parents are Bugging Me. 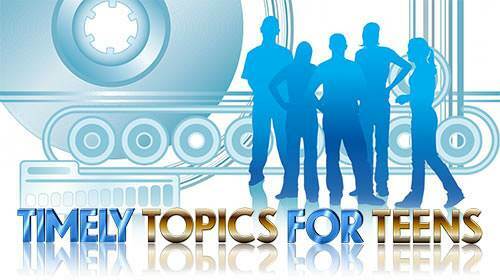 Lesson 4 in "Timely Topics for Teens"
"My parents are bugging me. They just don't seem to understand me or how I feel." "I hate my parents. I know I shouldn't, but I do." "I am a very hot tempered person, and I have some family problems. I get mad at the least little thing, and that bothers me. I yell like it's going out of style." The three young people who wrote those statements are really having a rough time. Is it like this with you, too? If so, I can tell you some other problems you are probably having. You are not only having trouble at home, but you are also having trouble with some of your teachers. 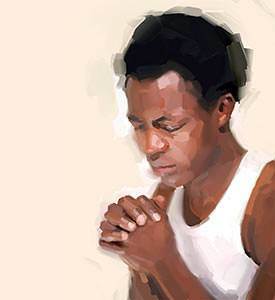 You can't stand some of your friends and when you pray it seems that God doesn't hear. Maybe you go to church but you don't get anything out of it. It seems that you have one problem after another. Why? Why do you have these problems? It's easy to blame other people, but the real trouble is deep down inside. The real problem is Self. 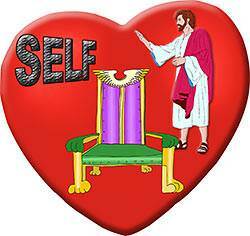 Self is on the throne of your heart. To be honest about it, we all have the problem of Self. 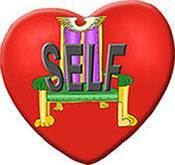 What is Self like? Self is a born rebel. It hates to take orders! It wants no one, not even God Himself, to rule over it. Where does that kind of spirit come from? It comes straight from Satan! Self is full of pride. Self always wants to be Number 1, to be looked up to, and to be praised. Self is always selfish. It doesn't care what happens to others, as long as it has its own way. Self is easily offended and "hurt." Self always feels like it is the one who is getting the "raw deal." 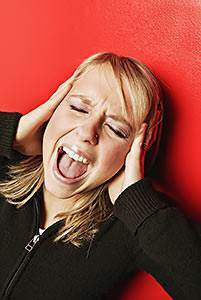 Whenever it is criticized, Self rushes to its own defense. Self will never admit that it is wrong—it always blames somebody else. There are hundreds of ways Self expresses itself, but they all add up to one thing—Self is the spirit of Satan. 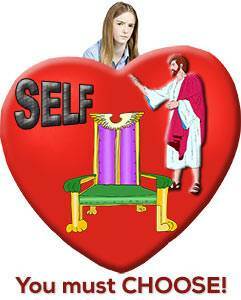 When Self is on the throne of your heart, you are controlled by Satan. "But I thought things would be different when I became a Christian. Why doesn't the Lord help me? Why doesn't He answer my prayers?" Because Self is on the throne of your heart! 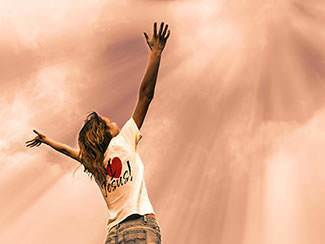 When you became a Christian, your sins were forgiven and Christ came into your heart. This is wonderful, but there is still a problem—Self didn't move out. Self is still in your heart, and it hasn't changed one tiny bit. Self still wants to run the show. This explains why Christians can be so changeable. One minute Christ can be running things in your life and the next minute you can decide that you will run things yourself. So, Self takes over. You get mad and rebel. 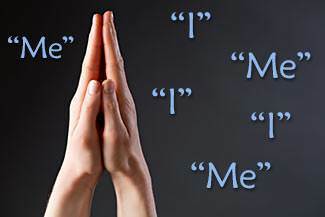 When Self is on the throne, your prayers are filled with "I" and "Me". They all have to do with what you want. It's no wonder that God doesn't answer your prayers. God is not going to help you be more selfish. He is not going to cooperate with your plans to exalt yourself. Never! Not in a million years. Perhaps you think everybody else is wrong and you are the only one that is right. If so, you may have to go through a lot of trouble before you are ready to face up to the real problem—Self! Mark it down, as long as Self is running the show in your life, you will continue to be eaten up with hatred, resentment, jealousy, pride, envy, temper and a thousand other sins. "But I don't want to let Self run my life. What can I do?" Jesus gave us the solution. 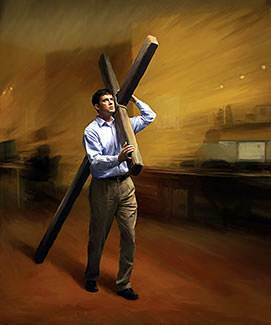 He said, "If anyone would come after me, he must deny himself and take up his cross daily and follow me." (Luke 9:23) What did the Lord say? He said that we must deny Self. To deny Self means to say "No" to it, to refuse to give in to it. Jesus also said, "...take up your cross..." What does this mean? It means choosing God's will instead of your own will. It means to accept the circumstances God puts you in. It means to submit to those He places over you. The Lord Jesus is our perfect example. Though He was God, He gave up His rights and His glory and became a man. He took the place of a servant—He washed the feet of His disciples. He did not please Himself but He chose to do God's will in all things. He was obedient, even to death on the cross. The Bible says, "Let this mind be in you, which was also in Christ Jesus…" (Philippians 2:5) Are you willing to give up your "rights" for Jesus' sake? Are you willing to be treated as our Lord was? Are you willing to submit cheerfully to those God has placed in authority over you? "But, man, if I do that, that will be the end of me." That's right. The Lord knows that the source of all your trouble is Self, and He means for Self to die. Because He desires the best for you, He will arrange for some "crosses" to come your way every day. What will you do? You must choose between Christ and Self. Either Christ will be on the throne of your heart, ruling your life… or Self will be on the throne causing nothing but trouble. "What will it be like when Christ is ruling in my heart?" If Christ is ruling in your life, you will respect authority. You will have a spirit of obedience. That's the way Christ lived when He was here on earth. He obeyed His parents. He taught men to submit to civil authority. He paid taxes—He said, "Give to Caesar what is Caesar's, and to God what is God's." 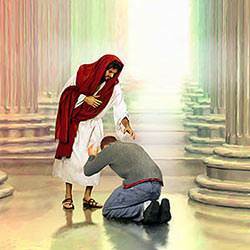 (Matt 22:21) Our Lord never took part in rebellion; He respected authority. For another thing, you will have a new purpose in life. Christ will be your new "center" instead of Self. Instead of wanting to see yourself exalted and honored, you will want above all things to please Christ. You will be more interested in what He thinks of you than in what others think of you. "But you don't understand how it is in my home. I'm the only Christian there and it is like living in a hell-hole." Perhaps so, but this is where God has put you for now, and this is where He means for you to live for Him and to honor Him. The tougher the situation, the greater will be your reward for being victorious in it. 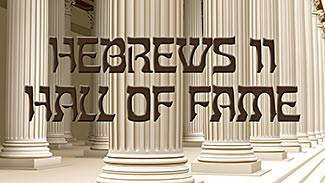 God has His Hall of Fame. He tells us about His heroes in Hebrews 11. They were not some kind of super people—they were people just like you and me. But they trusted God and lived for Him in the most difficult circumstances, and God saw it and He honored them. Have you decided to make Christ the Lord of your life? Then back it up with your actions. Have a spirit of obedience to those in authority over you. Set aside time each day to pray and read God's Word. Pray especially for those you have the most trouble with. Don't tell God what is wrong with them—pray for them, pray that God will bless them. When things go wrong and you blow it, confess it to the Lord. Tell Him that you will always fail unless He takes over in your life. Then apologize to those you have offended. This isn't easy, but it's the way of victory. I dare you to have your own convictions instead of accepting those of others. I dare you to stand true to them when others are going along with the crowd. I dare you to do your best when others are satisfied to just get by. 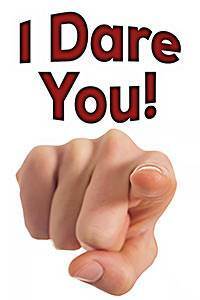 I dare you to be honest when others are cheating and taking short cuts. I dare you to mean "This is my work" when you sign your name to a paper even if you make the lowest grade in the class. I dare you to admit it openly and honestly when you make a mistake; to say "I am wrong" and not try to blame somebody else. I dare you to apologize to those you've hurt even if it kills your pride to do it. I dare you to be forgiving to those who have wronged you. I dare you to keep your body pure when others are selling themselves cheap. I dare you to say "No!" to sinful pleasures that destroy body and soul. I dare you to keep your word when it costs you to do it. I dare you to discipline your mind instead of filling it with garbage. I dare you to refuse to tell or listen to a dirty joke. I dare you to reject prejudice: to see every person as one for whom Christ died and therefore of infinite value in God's sight. I dare you to live for something bigger than yourself; better yet, to live for SOMEONE—the One who loved you enough to die for you. It is important that we accept ourselves as God has made us. This doesn't mean that we should not do what we can to develop our abilities. The Lord Jesus was a teenager at one time. The Bible says of Him, "And Jesus grew in wisdom and stature, and in favor with God and men." 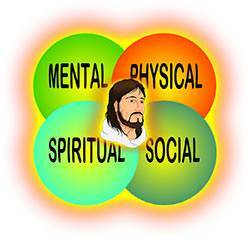 (Luke 2:52) The Lord Jesus developed mentally (wisdom), physically (stature), spiritually (favor with God), and socially (favor with man). You should be doing the same during your teen years. If God has blessed you with a healthy body, take care of it. Good health is priceless. Good health comes from following sound health principles—eating the right food, exercising daily, and getting enough sleep. Are you neat in your appearance? Are you careful to be well-groomed? Do you use soap, deodorant, toothbrush and comb daily? What about your contacts with others? Wearing a smile, showing interest in others, being courteous…are some of the traits to cultivate as you mature socially. If you want to be a well-balanced person, you won't overlook this area. It is not very glorifying to the Lord when you do poor work in school. Your attitude is all-important. Are you teachable? Do you want to learn? Do you realize that there are literally millions of teenagers in the world who would give almost anything to have the chance you have to get a good education? 2. Establish a daily Quiet Time. This is time spent alone with God each day in prayer and Bible study. This is essential to a life of victory. We can't stress this too much. A daily Quiet Time makes the difference between a careless, defeated Christian life and one that demonstrates God's power and victory. 3. Share Christ with others. The main thing in witnessing for Christ is to enjoy such a satisfying relationship with Him that others will be drawn to Him through you. This is why the daily Quiet Time is so important. Let God fill your life and overflow it with His love and then you will be able to help others.